Description:- Alaska, 1920: a brutal place to homestead, and especially tough for recent arrivals Jack and Mabel. Childless, they are drifting apart–he breaking under the weight of the work of the farm; she crumbling from loneliness and despair. In a moment of levity during the season’s first snowfall, they build a child out of snow. The next morning the snow child is gone–but they glimpse a young, blonde-haired girl running through the trees. This little girl, who calls herself Faina, seems to be a child of the woods. She hunts with a red fox at her side, skims lightly across the snow, and somehow survives alone in the Alaskan wilderness. As Jack and Mabel struggle to understand this child who could have stepped from the pages of a fairy tale, they come to love her as their own daughter. But in this beautiful, violent place things are rarely as they appear, and what they eventually learn about Faina will transform all of them. Review:- This book is beautiful, it is one of those books no matter what genre you are into you will take something away from it. It is delightful and magical. It feels real but you can escape into the fantasy world and be immersed in history and magic. The Snow Child was inspired by a Russian fairytale which has the same name. It is one of those stories you will be completely captured by and become absorbed in as soon as you start it, I know I was. 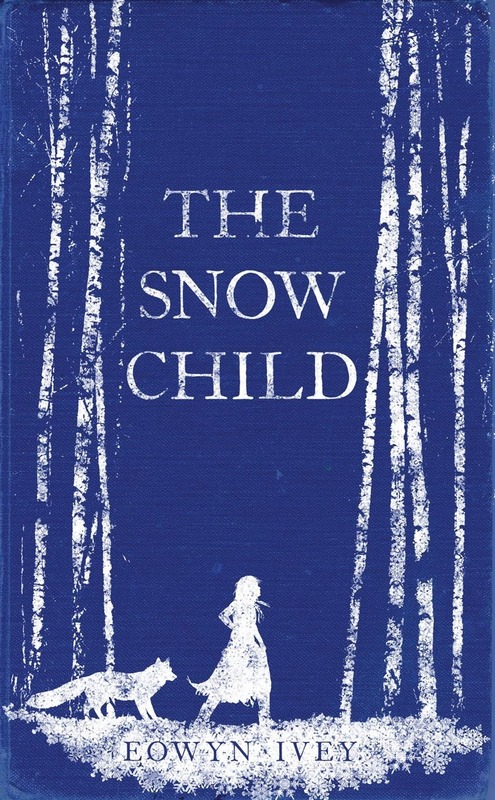 The Snow Child is based in the 1920’s, the couple Mabel and Jack have moved to Alaska in the vain hope they can try to rebuild their lives after the heartbreaking even of having a still born baby. Can the cold and bleak Alaska fill their empty hearts? Then they meet Faina, whom I was never sure if she was real or not. She made the cold, harsh Winters of Alaska her home. The characters bring the warmth to the book compared to the cold, harshness of the weather in Alaska. The animals in the book will pull on those heart strings, even the fox, who wouldn’t love a bear and her cubs. This is the first book I have read in such a long time that had me crying, by the end of the book I was bubbling away, yet I still couldn’t put it down. There is so much sadness, yet there is hope all weaved into this book. I would highly recommend this book to everyone, it is amazing and so touching. You will not regret reading this book. You will fall in love with the coldness of Alaska and the warm hearts of the characters. Disclaimer:- I was sent this book to review by the publisher, Headline, thank you.